A is for Action; B is for Bold; C is for Crazy! The #MatExp ABC has been a bit … D for Dynamic!! Posted on May 11, 2015	by Gill Phillips - Whose Shoes? 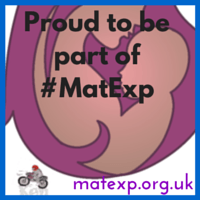 The rain in Spain, #MatExp ABC, Sherpa Union, whatever next… ??? Posted on April 20, 2015	by Gill Phillips - Whose Shoes?